Northern Ireland come into this game on the back of five consecutive victories. Their qualifying campaign could not have gone much better, with Michael O’Neill’s men claiming 19 points from a possible 24 in Group C.
Germany have won eight from eight in this World Cup qualifying group, including the reverse fixture finished in a 2-0 win for Die Mannschaft in October 2016. Don't waster your time! 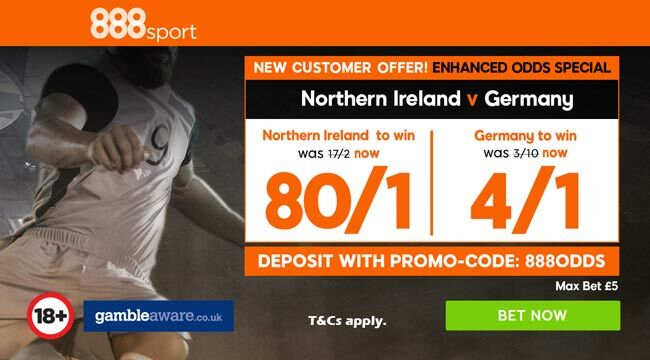 Choose your price boost on Northern Ireland v Germany at 888sport! 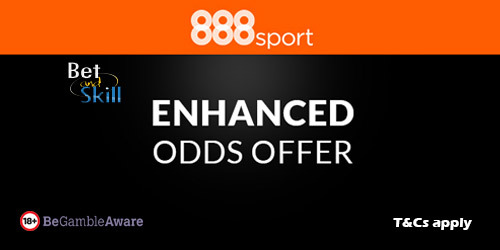 "Join 888sport and get 80/1 Northern Ireland or 4/1 Germany to win!"